Distributor of Alloy P9 Pipes, P9 Seamless Square Pipe, Astm A335 Alloy Steel P9 Seamless Efw Pipe stockist, Alloy Steel P9 Pipe Supplier In Mumbai, India, Gr P9 Alloy Steel Seamless Pipe stockholder, Alloy Steel Pipe Manufacturer & Exporter In India. High Pressure P9 Seamless Boiler Pipes delaers, P9 Seamless Alloy Pipe Exporter in India, Grade P9 Alloy Steel Hydraulic Pipes stockist, Asme Sa 335 Alloy Steel Seamless Rectangular Pipe Manufacturer & Suppliers in Maharashtra. Reliable Pipes & Tubes Ltd is Manufacturer of ASME SA 335 / ASTM A335 P9 Pipes in India, we are producing Alloy Steel P9 Pipes & ASME SA 335 Alloy Steel P9 Pipes since 1999.We are an ISO 9001 : 2008, 18001:2007, 14001:2004 & PED approved Exporter of Alloy Steel P9 Tubes in India.We maintain over 800 ton ASTM A335 Alloy Steel P9 Pipe in various shape, sizes & coating which makes us one of the largest stockist of P9 Pipe in India. In 1985 Reliable Pipes & Tubes Ltd was incorporated as a trader of ASME SA 335 Alloy Steel P9 Tubes & in 1990 Reliable Pipes & Tubes Ltd became Govt recognised exporter & stocking Distributor of ASTM A335 Alloy Steel P9 Tubes & Alloy Steel P9 Seamless Boiler Pipe, later in year 1994 we were recognised as PED approved Distributor of P9 Alloy Steel Seamless Pipe in India. Further we started stocking ASTM A335 Gr. P9 Alloy Steel Pipe of other manufacturers of Alloy Steel Gr. P9 Pipes. 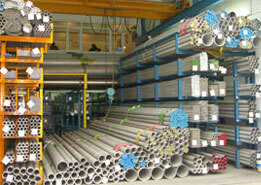 Reliable Pipes & Tubes Ltd became largest Stockist of ASME SA 335 P9 Alloy Steel Pipes. Currently we have India’s largest inventory of ASTM A335 P9 Alloy Steel Tubes, ASME SA 335 P9 Alloy Steel Tubes, ASTM A335 P9 Alloy Steel Pipes & Large Diameter P9 Alloy Steel Pipeat our Mill in Mumbai, Maharashtra. 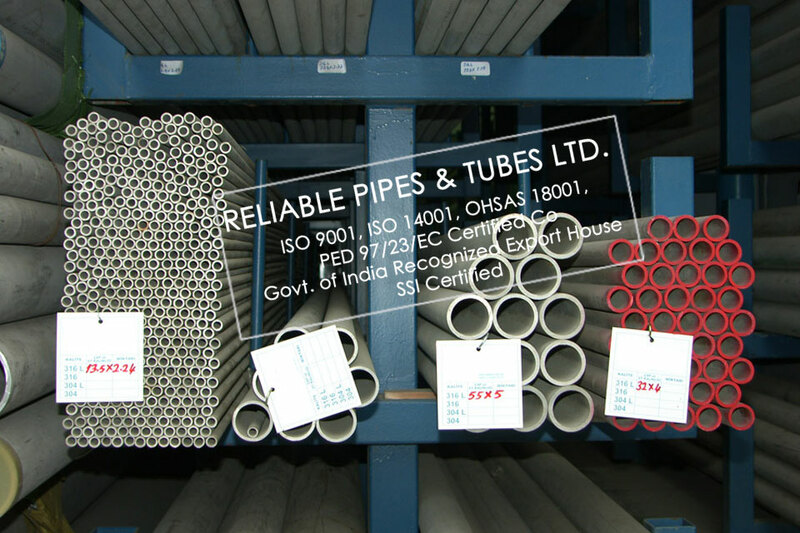 Reliable Pipes & Tubes Ltd is only Supplier in India who maintains Stainless steel 304 Seamless Tubes in all Schedule like schedule 10 P9 High Pressure Seamless Boiler Pipes, SCH 20 P9 Alloy Pipe, SCH 30 Grade P9 Alloy Steel Pipes, SCH 40 Alloy A335 Seamless Square Pipe. Our researched inventory of AISI P9 ERW pipes in India enable us for prompt delivery to countries like Dubai, Ras Al Khaimah, UAE, Kuwait, Qatar, Saudi Arabia, Turkey, Israel, Iraq, Iran, Oman, Bahrain, Nigeria, Kenya, Mozambique, South & West Africa, Indonesia, Malaysia, Singapore, Thailand & Philippines in any emergency or industrial break down.we can offer ASTM A335 P9 Alloy Steel Seamless Pipes at dealer price which helps us to prove one of the best stockholder of ASME SA335 P9 Alloy Steel Rectangular Pipe in India. At Reliable Pipes & Tubes Ltd we have special offer on surplus stock of Alloy Steel Gr P9 LSAW Pipes & ASME SA / ASTM A335 P9 Pipes. ASTM A335/ASME SA335 P9 Alloy Steel Pipe Form Round, Square, Rectangular, Hydraulic Etc. We are approved vendor & supplier of ASTM A335/ASME SA335 P9 Alloy Steel Pipe in GASCO, KNPC, SAUDI ARAMCO, SABIC, ORPIC, NIORDC, PIDMCO etc. We are having our sub dealers of above brands with adequate stock of ASTM A335/ASME SA335 P9 Alloy Steel Pipe, Tube & Tubular in UAE, Kuwait, Saudi Arabia, Australia, Indonesia, Malaysia, Bahrain, Singapore, Thailand, UK, Canada, Brazil, Venezuela, Kazakhstan, Sudan, South Africa, Mozambique, Nigeria, Kenya, Tanzania for quick delivery of ASTM A335/ASME SA335 P9 Alloy Steel Pipe with mill certificate & all required documents. ASTM A335/ASME SA335 P9 Alloy Steel Pipe are loose or in bundles tightened with Iron Strips. Special packings: Metal or Wooden Cases, Pallets etc. Looking for Special Steel Grade ASTM A335/ASME SA335 P9 Alloy Steel Pipe Supplier? Reliable Pipes & Tubes Ltd. is Specialize in supply of ASTM A335/ASME SA335 P9 Alloy Steel Pipe that your company needs for use in the oil or gas or power plant. Our Specialization comes after supplying ASTM A335/ASME SA335 P9 Alloy Steel Pipe to 300+ companies from Oil & Gas Industry, Petrochemical, Offshore & Onshore Projects, Rigs, Chemical & Fertilizer companies in more than 40 countries since 1975. One of the most critical aspects of our service is our ability to meet the most urgent deadlines. That is why we always maintain the highest level of stock availability of ASTM A335/ASME SA335 P9 Alloy Steel Pipe- all ready for rapid processing, dispatch and delivery. ASTM A335/ASME SA335 P9 Alloy Steel Pipe Manufacturer ANSI B 36.10 Alloy Steel GR. P9 Seamless Round, Square, Rectangular, Hydraulic Pipes supplier, Grade P9 A335 Seamless Alloy Steel Pipe, Seamless Ferritic Alloy Steel P9 Pipe For High Temperature Service, High Quality Astm A335 P9 Alloy Steel Pipe, Astm A335 P9 Seamless Or Welded Alloy Steel Pipe, Astm 4125 Alloy Steel Pipe Dealer, Astm/Din/Api Seamless Steel Pipe/ Alloy Steel Pipe, Alloy Steel Pipe, Astm Hot Rolled Seamless Alloy Steel P9 Pipe,High Quality Astm A335 P9 Alloy Steel Pipe, Asme Sa335 P9 Seamless Alloy Steel Pipe.